Hester Lynch Piozzi, More Than "Dr. Johnson's Mrs. Thrale"
"Mrs. Thrale" has long been known to history primarily for her recollections of her friend, the famous poet, essayist, and lexicographer Samuel Johnson, whom she met in 1765. More recently, however, she has been recognized as a writer in her own right. Born on 16 January 1741,* Hester Salusbury was the daughter of the Welsh landowner John Salusbury and his wife, also named Hester. Her marriage to the London brewer Henry Thrale in 1763 was desirable from both her father and husband's perspectives; her father was bankrupt, and Thrale was wealthy, and Thrale, while rich, was seeking to improve his social status by marriage. Like many eighteenth-century marriages, the linked partners were not particularly compatible. She loved "conversation and adventure," and "thrived on attention." For his part, Henry Thrale, was "remote, socially insecure and periodically unfaithful." Through her marriage to Thrale, Hester certainly managed to enter fully into London society, hosting parties at the couple's house in Streatham. Her intimate acquaintances included writers like Johnson, Oliver Goldsmith, and Fanny Burney, politiians like Edmund Burke, actors and theatrical people like David Garrick, and painters, like Sir Joshua Reyolds. 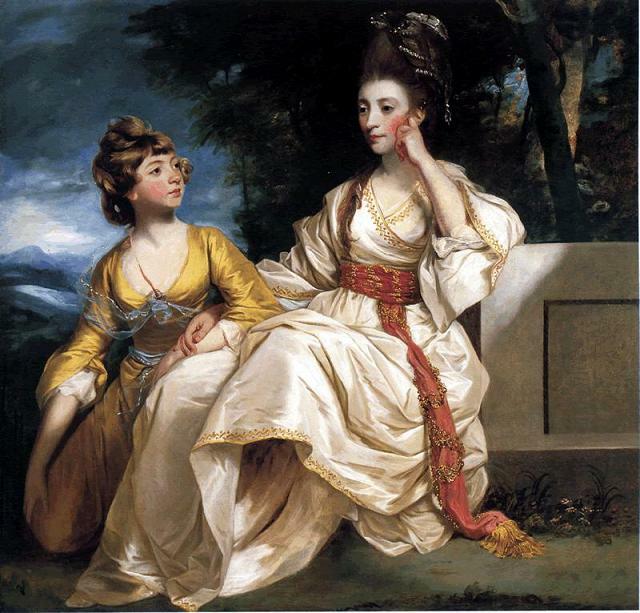 Johnson and Hester Thrale became particularly intimate friends--Johnson came to be like a member of her family and spent much of his year living with the Thrales. After Henry Thrale's death in 1781, many expected the wealthy widow to marry Dr. Johnson--instead, she married Gabriel Mario Piozzi, her eldest daughter's music teacher. Shock and horror ensued--Johnson himself said she had "ignominiously married" and condemned her "wickedness." Nevertheless, Hester Piozzi seems to have been happy in this second marriage, and she enjoyed a long and productive life. In 1786, she published Anecdotes of the late Samuel Johnson, LL.D., during the last Twenty Years of his Life and two years later, a two-volume edition of Letters to and from the late Samuel Johnson, LL.D. While less well known than Boswell's Life of Johnson, even the venerable Encyclopedia Britannica, frequently unkind to women and their achievements, is notably kind to Piozzi's work: "Although less accurate in some details than Boswell’s, her accounts show other aspects of Johnson’s character, especially the more human and affectionate side of his nature." Perhaps most notable of her achievements is her diary, Thraliana, which was not published until 1949. It provides insight not only to Johnson's life but, more importantly, the life, thoughts, and observations of a distinct and engaging eighteenth-century woman. Hester Salusbury Thrale Piozzi died on 2 May 1821, but she had celebrated her eightieth birthday when she was seventy-nine--at a lavish party in Bath attended by some 600 guests! Ian McIntyre's 2008 Hester: The Remarkable Life of Dr. Johnson's 'Dear Mistress', is not only an excellent read but a compelling reassessment of Thrale's life and accomplishment aside from (or in addition to) her friendship with Johnson. For an introduction, Henry Hitchings’s essay, a review of McIntyre's book, is a good place to start; to access it, click here. Piozzi's works are available at sites like Project Gurenberg or the Internet Archive. And many, of course, are in print! *After England adopted the Gregorian calendar in 1752, adding eleven days in the process, she celebrated her birthday on 27 January.